Click on the image for a full-resolution version. 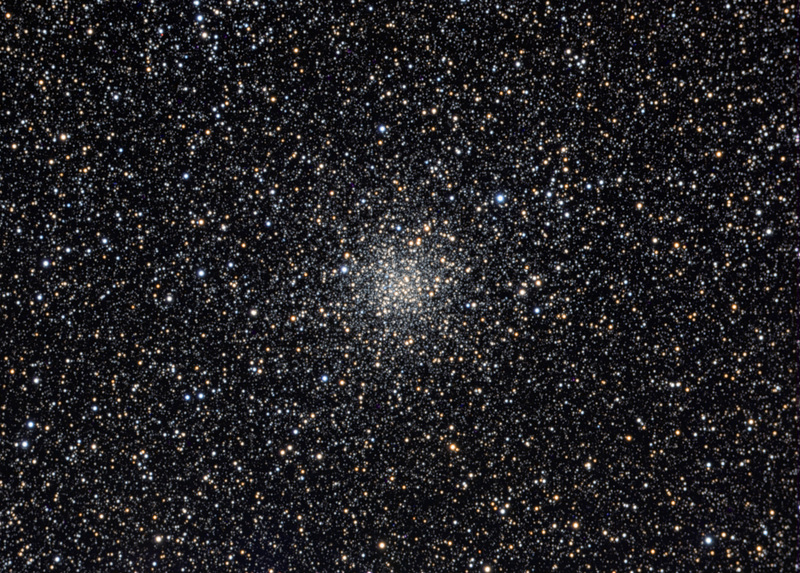 M71 was once thought to be a condensed open cluster, but is now considered to be a loose globular cluster. It is located 13,000 light-years from our solar system. Technical Notes: Individual exposures were acquired using CCDAutopilot 5 and processed with CCDStack 2. Smart Sharpen was applied to the luminance image.